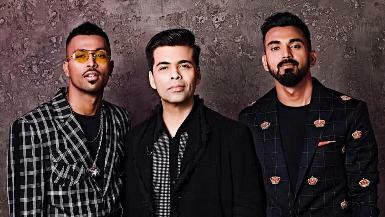 What Karan Johar led Hardik Pandya and KL Rahul into doing was reprehensible and belittling to women. While Johar has till now escaped censure from authority and punishment of any kind, the two cricketers have rightly been suspended and recalled from Australia. This disciplinary action is a first of its kind in the history of Indian cricket. If one goes through the transcript of the show Koffee with Karan on which these two cricketers appeared and gave obnoxious answers to leading questions by the host, one finds that while the questions were indeed loaded, but as mature and responsible adults, the cricketers could have chosen not to answer them, or do so in a dignified way. They should have remembered that they had a binding contract with the BCCI which prevented them from doing anything like this. As young players, both Pandya and Rahul should have realized that apart from their game, the cricket-crazy fans in India ape their style too. In that sense, they are role models to the youth who look up to them for the station they have reached in life. Hence, things like disclosing that he said “aaj main kar ke aaya” to his parents after losing his virginity were gross. Also boasting about having multiple girlfriends or making conquests showed that he treated girls as objects, to be displayed on the arm or to be acquired by ‘calibre’. No one denies them their extravagant lifestyle or other trappings of success but displaying a sick mindset before the public is not to be allowed. The BCCI has done the right thing to suspend the two players. An example needed to be set about what is right and what cannot be permitted. The two players crossed the line by making grossly misogynistic remarks. Although they apologized, it was not enough - punishment was also due to prevent others from doing it in future. Players are ambassadors of the country, both on and off the field. Their behavior has to be proper at all times. The BCCI must also find out how these players were allowed to appear on the show. As for Karan Johar, he can hide behind the plea that being a candid show, he needs to up the controversy quotient to make it popular. The audience sees the show to get these kinds of answers, he will retort. Then, he will demand artistic freedom and the right of free expression to avoid censure. But he must be told that allowing guests on his show to indulge in such undignified talk about women will not be allowed. He has managed to gain TRPs by this controversy. Some kind of punishment is also due to Johar to prevent such crassness on his show.